Thank you for organizing your event with Brigade Hospitality. To enhance your experience with us, we request you to spare a few minutes to give us your feedback so that we can further improve our services. * 5. Were all arrangements made as per your instructions? * 7. Would you like to book another event at our MLR Centre (J.P. Nagar) and / or Recommend it to your family/friends? * 8. Any other comments or suggestions from you or your Delegates/Guests? Also kindly share with us what other service, facility or equipment you would like us to offer at the MLR Centre - J.P. Nagar. * 9. 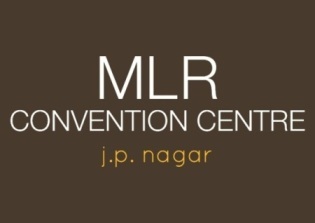 What kind of events would you like to attend at the MLR Centre - J.P. Nagar? Please let us know so we can cater to your interests.